When the bell rings at some colleges and universities in the U.S. this month, great golf will be in the curriculum. Here are the four top testy campus courses anyone can play. 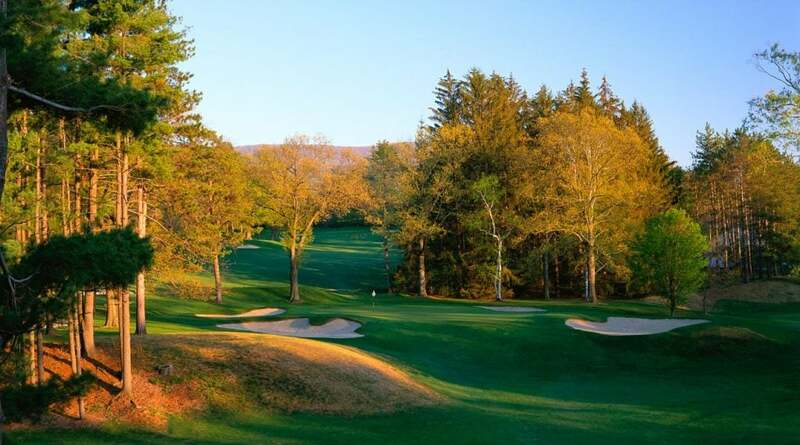 Williamstown, MA $100-$160 Owned and operated by Williams College, this heart-of-the-Berkshires, 1927 Van Kleek/Stiles design benefits from recent Gil Hanse tweaks, to offer a graduate-level examination in thinking your way around a golf course. Cameras are sure to click at the downhill, 470-yard, par-4 11th. Famous alumni: James A. Garfield, George Steinbrenner, Dominick Dunne Legendary performance: Sixteen-year-old Jack Nicklaus aced the par-3 14th in a practice round at the 1956 U.S. Junior Amateur. Fall Classic: Come up short on Taconic's 157-yard, par-3 fifth and you'll be on the wrong kind of roll. Athens, GA $42.50-$65.50 The home of the Georgia Bulldog golf team is a 1968 Robert Trent Jones Sr. design that tumbles through heaving, tree-studded terrain for 7,258 yards. Typical of Jones’s work, it sports deep bunkers guarding tough targets, and features undulating greens, courtesy of a 2006 remodel by Davis Love III. Famous alumni: Bubba Watson, Herschel Walker, Ryan Seacrest Legendary performance: Russell Henley, a University of Georgia senior, took full home-course advantage by entering and winning the Web.com tour’s 2011 Stadion Classic at UGA. 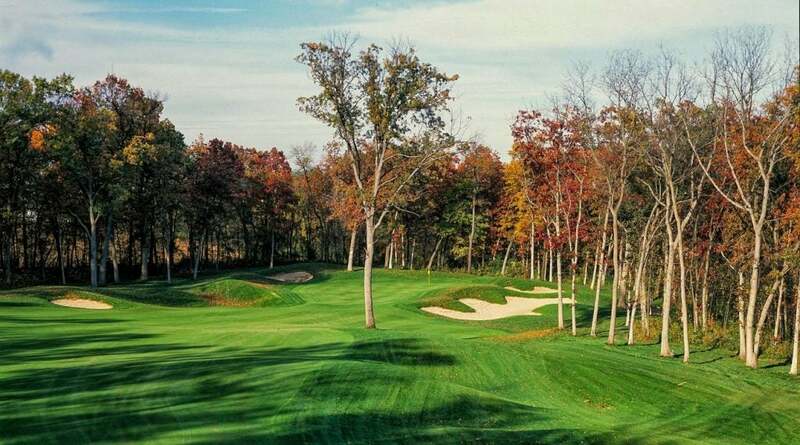 Verona, WI $39-$109 Home to the University of Wisconsin Badgers, this 1991 Robert Trent Jones Jr. creation seamlessly mixes wetlands-tinged prairie holes and rolling parkland holes. Proud alum Jay Blasi teamed with Jones in a 2008 renovation that enhanced the boldly bunkered layout. The lake-guarded, 250-yard, par-3 17th is a standout. Famous alumni: Charles Lindbergh, Frank Lloyd Wright, J.J. Watt Legendary performance: With a final-round, eight-under-par 64, Scott McCarron edged native son Jerry Kelly by one to win the PGA Tour Champions 2018 American Family Insurance Championship. Forestry 101: University Ridge's First Hole is a master class in tree management. Stillwater, OK $350.00 The home course for Oklahoma State University, this 1994 Tom Fazio creation played host to the 2018 Men’s and Women’s NCAA Division I Championships. Named for benefactor Karsten Solheim of PING, the rolling, forested layout concludes at 17 and 18 with drives over 110-acre Lake Louise—named for Karsten’s wife. Famous alumni: Rickie Fowler, Barry Sanders, Garth Brooks Legendary performance: At the 2011 NCAAs, Augusta State defended its title, beating rival Georgia 3-2 when Patrick Reed edged Harris English 2 and 1 in Reed’s final collegiate match.